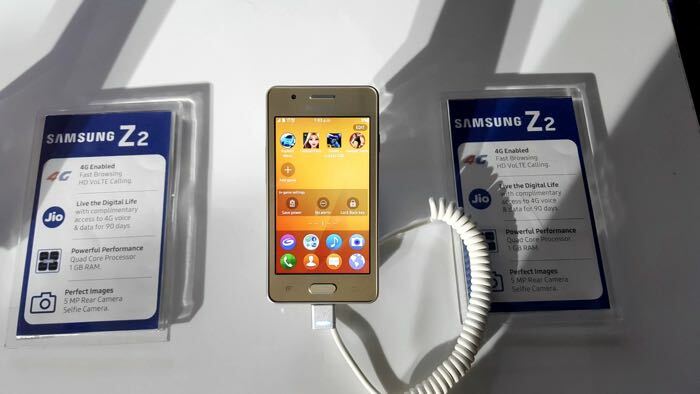 We have been hearing a number of rumors about Samsung’s latest Tizen smartphone, the Samsung Z2 and the handset has now officially been unveiled in India. The specifications on the handset are similar to the rumored specs and include a 3.97 inch display and the device will be powered by a Spreadtrum processor. Other specifications on the new Samsung Z2 include 1GB of RAM and 8GB of built in storage, this can be expanded via a microSD card slot. The device also come with front and rear facing cameras, on the front there is a VGA camera and on the back there is a 5 megapixel camera for photos and videos. The Samsung Z2 comes with the latest version of Tizen in the form of Tizen 2.4 and the handset will be available in a range of colors which will include, gold, black and red. It will go on sale in India on the 29th of August for Rs 4,950 which is about $74 at the current exchange rate.